The State and Regional Employment report for December, released on this morning by the Bureau of Labor Statistics (BLS), showed continued job gains in 44 states and the District of Columbia, with six states experiencing job losses. Additionally, in 38 states and the District of Columbia the unemployment rate either declined or held steady. From September to December, 48 states and the District of Columbia added jobs, with South Carolina (1.7 percent), Nevada (1.4 percent), South Dakota (1.1 percent), Wyoming (1.0 percent), and Alabama (0.9 percent) having the highest percent change in job growth. 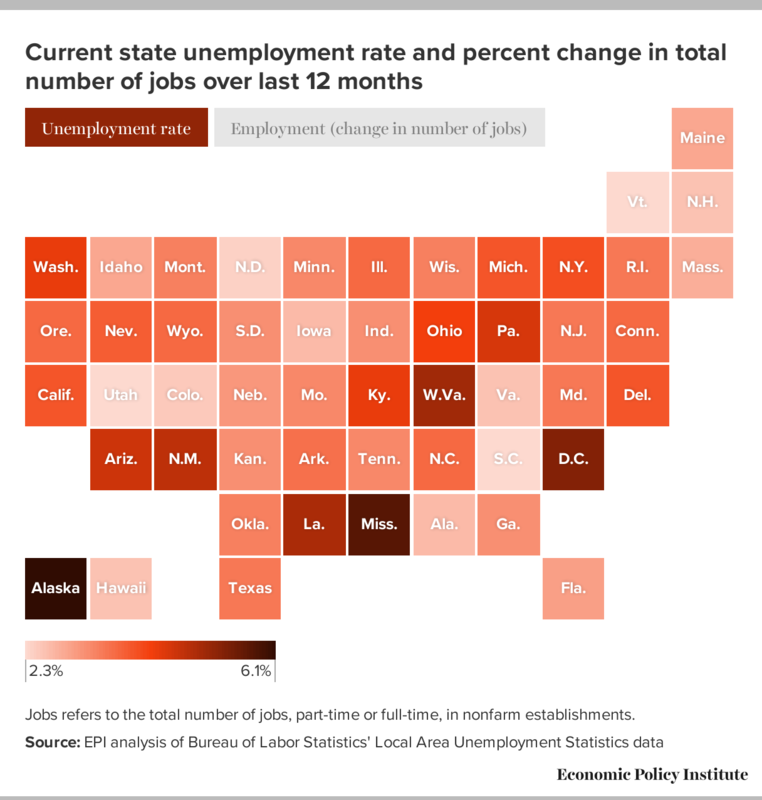 Over the last three months, the number of jobs fell in two states, Alaska (-0.3 percent) and Maine (-0.2 percent). From July to October, unemployment rates fell in 26 states and the District of Columbia. Delaware (-0.3 percentage points), Maryland (-0.3 percentage points), Massachusetts (-0.3 percentage points), and Oklahoma (-0.3 percentage points) saw the largest declines in unemployment rates. The unemployment rate increased in 12 states. The largest increases in unemployment rates occurred in Colorado (0.4 percentage points), Hawaii (0.3 percentage points), and Oregon (0.3 percentage points). Jobs refers to the total number of jobs, part-time or full-time, in nonfarm establishments.